It’s been three years since two entrepreneurs entered ‘The Den’ and emerged triumphant with a unique solution for AV and electrical professionals. Here we look back at the original inspiration behind the product and hear from the ‘Dragon’ who helped to make the Syncbox dream a reality. The original idea for Syncbox was conceived by Steve Noyes. After working in the electrical and AV industries for a number of years, Steve had noticed a continual problem when installing flat screen TVs to the wall: it was virtually impossible to achieve a professional-looking finish because of all the cables and sockets sticking out. As most entrepreneurs with a new invention will testify, the major issues that the pair initially faced came with getting the product off the ground as design, patents and manufacturing proved to be a very expensive process. It was here that they realised new investment would be needed to help get Syncbox on its way. After a friend of Duncan’s suggested that they apply for the popular BBC show Dragons’ Den, the pair visited the show website and discovered that the deadline for application was the following day. “Although this was hardly ideal,” recalls Duncan, “we already had a full business plan drawn up and decided that we had nothing to lose by applying. As you can imagine, such a short turnaround gave Steve and Duncan very little time to put together a fully-rounded pitch, in addition to a full demonstration. After burning some midnight oil and spending the weekend working on their presentation, however, the duo were able to pull everything together in time for the big day. 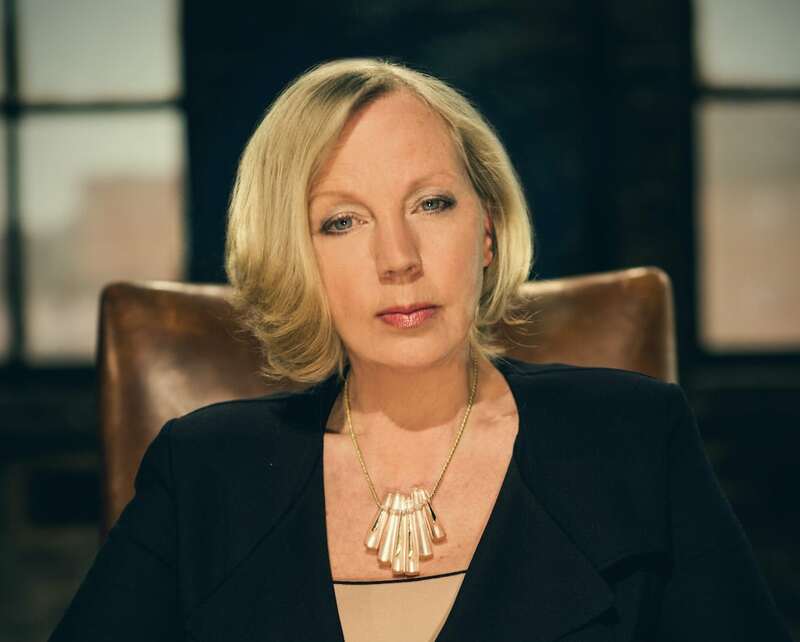 Steve says: “Although nerve wracking, the pitch to the Dragons went very well and we were fortunate enough to impress both Sarah Willingham and Deborah Meaden. The decision proved to be a very sensible one and Syncbox is now available in thousands of electrical and AV wholesalers all over the UK, as well as distributing to over 20 countries world-wide. The cost-effective, simple to install and aesthetically pleasing product is fast becoming a household name in the electrical industry with a number of installers insisting on its use for most projects. 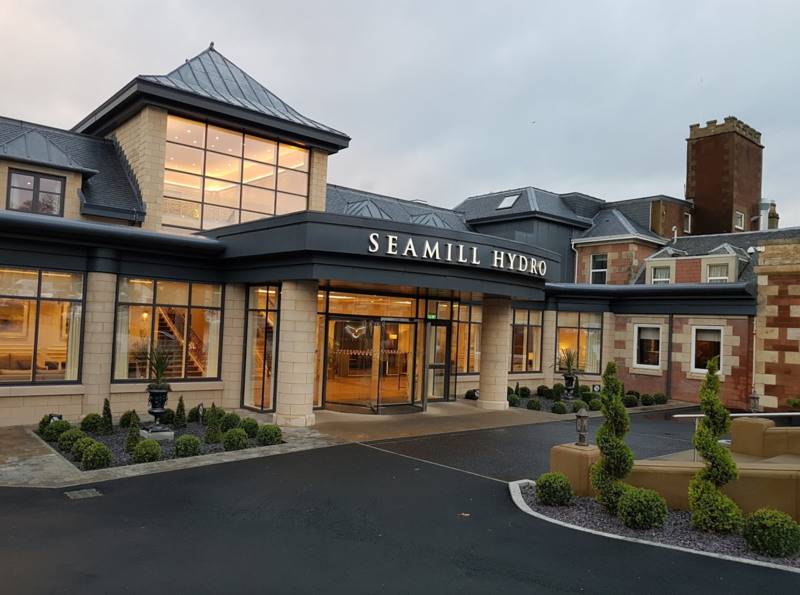 The Syncbox team has also unearthed some new markets where the product has proved particularly popular – namely the hotel and housing development sectors – with the solution being implemented as standard into the offerings of the UK’s largest developers such as Berkeley Homes, Crest Nicholson, Redrow and Crown Plaza Hotels. “We’ve learned that the developers specifically like using Syncbox to replace the big, bulky and often ugly media plates that take up a large proportion of the wall. 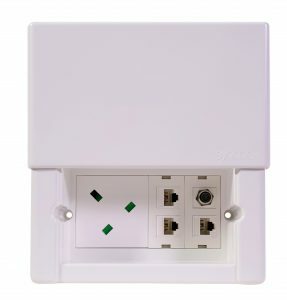 Syncbox can be populated by up to eight AV modules that all fit into the same space as a UK double socket,” says Duncan. 2018 has seen the Syncbox star continuing to rise, with the company recently named #27 in the UK’s ‘Top 100 Start-Ups’. It has also been recognised by prestigious department store Selfridges, which wants to make the product its ‘go to’ electrical point for all refurbishments, due to the stylish design it offers. That said, the duo will always remember the part that the unexpected visit to the Den has played in helping to get the product to where it is now: “We were essentially given a ‘shop window to the world’ and the opportunity to get the product up and running,” concludes Steve. What did you see in Syncbox to make you want to invest? Great investments don’t have to be a new and never seen before product. In fact, the best investments are often those who take an existing product and simply make it better. With Syncbox it was easy to see why it was easier to fit, looked better and was a widely in demand product. Coupled with Steve and Duncan’s knowledge and enthusiasm it was not surprising they received two offers in The Den. I was delighted when they accepted mine! You have investments in other building products. Was this helpful when deciding to invest into Syncbox? I would invest in most sectors but it is fair to say that my experience within the building sector did help me to understand the problem Syncbox solved and also the various routes to market we could pursue. Syncbox is being specified by many of the UK’s top developers. Is this how you envisaged the business growing? Engaging with and selling in to developers was initially our main focus. However, selling to trade both direct through the website or via wholesalers is clearly an important strand. It is certainly true that word of mouth is key as once the professional trades have used them they keep coming back! What do you feel is the biggest USP for Syncbox? Unlike many products, Syncbox has quite a few USPs. It is the only in-wall socket which is covered, it protects and hides cables and it is also universally adaptable to any configuration. What would be the best advice you could give to other entrepreneurs trying to bring new products into the building industry? The best products are those which solve a practical or aesthetic problem. It is, however, important to check that the problem is big enough, that people will be prepared to pay the price at which your solution must be sold and, of course, that there are enough people experiencing the problem to make it a market in the first place. Syncbox has been placed 27th in the UK’s top 100 Start-ups – you must be very pleased? I’m absolutely delighted for Steve and Duncan who, after all, are the inventors of the product and the people actually sweating in the business!